Investor special! Tenant occupied, showings to take place in due diligence. 12 month lease in place. 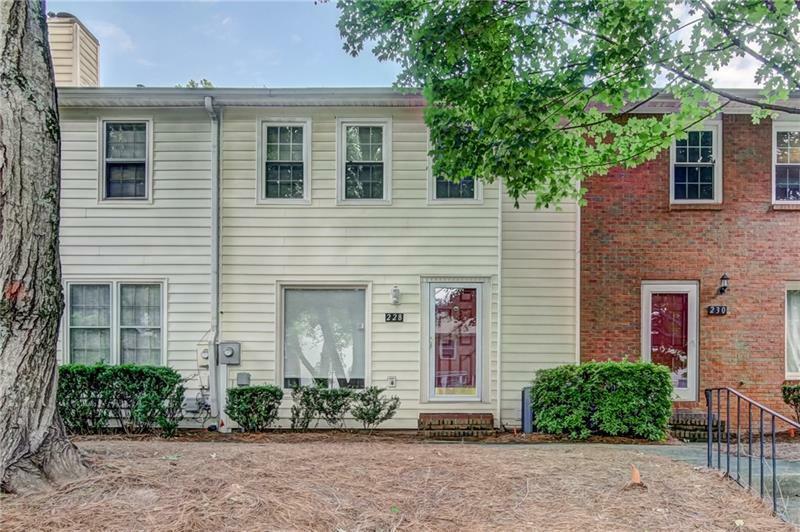 Renovated 3 bedroom townhome in Roswell for under $200K. We are located just off GA400, close to dining and shopping. FHA Approved and Investor friendly. Renovations include new granite countertops in kitchen & baths, interior paint, new hardwood like floors in kitchen, dining, and bathrooms, subway tile backsplash and new appliances, and plumbing and light fixtures, newer windows and garage doors. Directions: 400n To Exit 7b, Travel West On Holcomb Bridge, Right On Dogwood Rd, Right On Old Holcomb Bridge Rd, Left On Holcomb Ferry Rd, Pass Pool, Turn Right At Second Entrance Behind The Townhomes, Turn Right Unit Will Be Down On Left Side. Enter Through Garage.